General tips to Surviving an Exchange to China. When you arrive in China prepare to be shocked. If you have never been to China before, please be aware you are now in a completely different society and you will face a culture shock. In China you will quickly learn the bad things are quite bad, where the good is average, in all honestly it never hurts to be pessimistic when in China. I would suggest coming early to China relative to your University dates by about 3 days. Book a hotel during this duration, I cannot stress this point enough, and ensure that there is WIFI. The room / dorm that you will be assigned to may require cleaning and a lot of preparation to be liveable in. In some cases you might even need to find your own accommodation before you arrive or after you arrive. Regardless of which it is important to find a safe haven, a refuge to which you can go back to and just chill out and slowly assimilate into Chinese society. Tap water is not drinkable unless you boil it! It is not uncommon for student dorms to not have WiFi. Please ensure you try to check out the place you will be staying when you are studying, you may need to clean it and or share it with other people. I would recommend staying in the University dormitory as the other International and Exchange students will be sure to help you out as much as possible, where in many cases you will have a roommate. Unless otherwise stated be prepared to buy your own blanket, bed sheets, pillows, etc. There are 3 main Chinese telecommunication companies. China Mobile, China Unicom and China Telelcom. Bring your passport and grab a Chinese sim card, so you can use your phone in China. There are various deals, if you have a friend whom can speak Mandarin, they can help you with this. There are various plans etc, where translation helps. Ensure you have set up Skype or other video-to-video chatting software to chat to your friends and family back home. China has a ‘great firewall.’ Please do note, Google / Gmail / YouTube / Facebook, and other various websites and other things do not work in China. If you want to access these, you will need to acquire a VPN. Acquire the VPN and ensure it works BEFORE you leave for exchange, as you will not be able to attain one easily, when in China. If you can also, ensure you set up a VPN for your mobile phone. Google play store (Android’s version of Apple’s app store) does not work in China so you will not be able to download any applications without the knowledge of mobile phones. Please also note, google maps will not work, Apple’s version will. Ensure you download ‘Baidu maps’. Baidu is the Chinese version of Google. This will help you when you get lost, so you can search for the closest metro station. In China there are 3 main methods of transport. I would recommend either Metro or Taxi. Buses are okay if you can read Chinese, or know what you are doing. For the metro, there is always English so you will be safe, and it is by far the easiest way to travel, you travel visa coloured lines. If you’re a foreigner the Taxi drivers may take you for a longer trip than normal. Each city has its own transportation card, where I recommend you attaining one as it proves to be much cheaper than buying tickets for each travel. You might also want to open a bank account to not have absurd amounts of RMB (cash) on you. Bank of China, ICBC, Bank of Communications and Construction Bank are the biggest 4 banks in China. Open a bank account in the city you are staying in, as there will be no withdrawal fees unless you withdraw from a different city. You will also need your passport here. 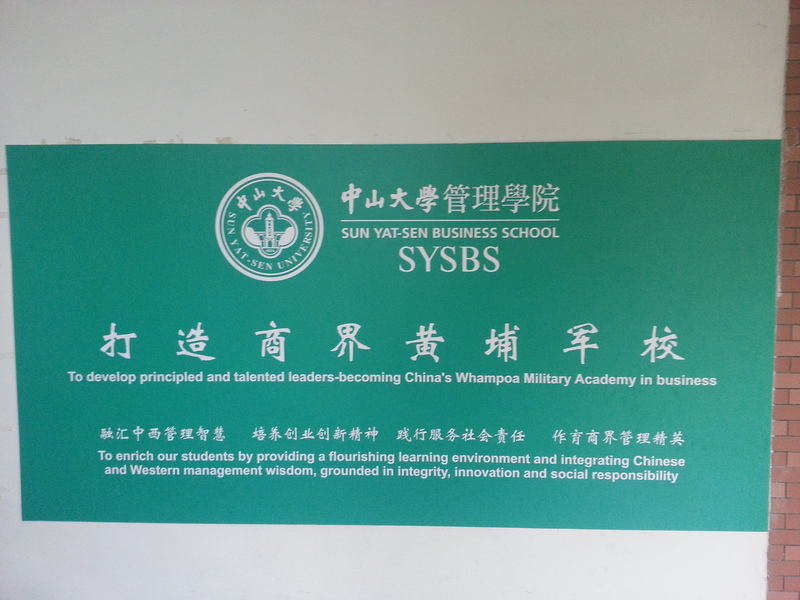 I was selected to do the exchange program at Sun Yat-sen University (SYSU). One of China’s top 10 universities. Where I was assigned to live in the dormitory in the East Campus. There is no kitchen, WiFi, laundry and no bedding provided by the dorm. The South Campus is the main campus where there is the biggest concentration of international and exchange students located there. 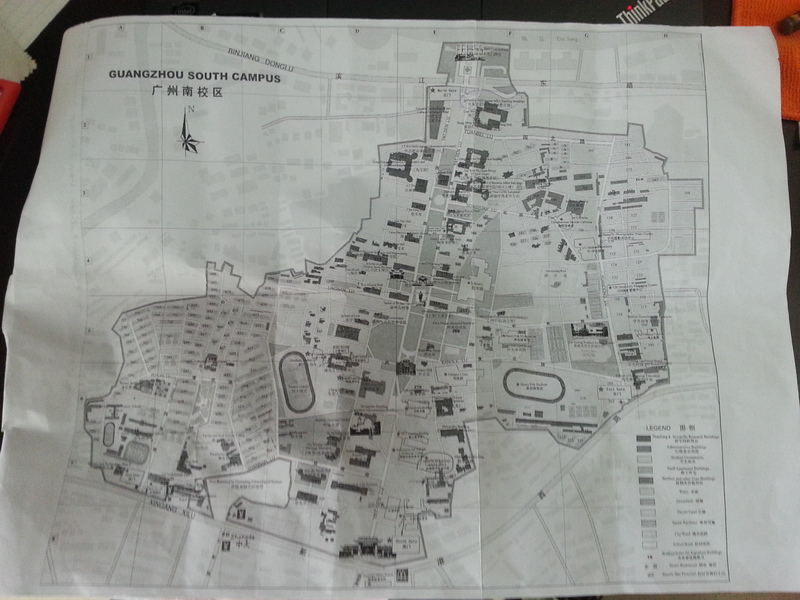 A trip to the South campus from East campus takes around 40-60 minutes via transport. There is a University shuttle bus to the North and South campus from the East. You will need your student card to go on board this bus, and that will be given to you in week 2. Until then Metro would be the best option. There is a metro station ‘中大’ which is SYSU’s south campus own metro stop. Look at the metro exit maps to ensure you exit from the right exit (Exit A). You will be at the south gate, after walking 5 minutes. My dorm is in the University megacity North (exit D). 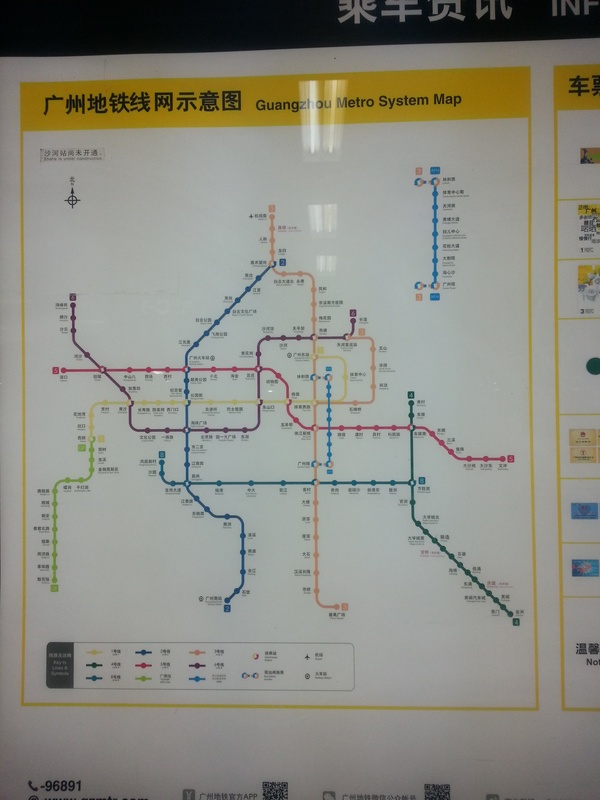 There are 10 universities in this university mega city, where Guangzhou University and SYSU, both have their own metro stations, being the two most prestigious universities in the University megacity. SYSU also assigns to their exchange students a buddy from the same faculty upon request. I highly suggest you to select this option, as meeting new people will make your time at SYSU a lot more pleasurable. The buddy that you are assigned with will help you get accustomed to life in China and life at SYSU. Be sure to ask them for help for opening a bank account, attaining a Chinese sim card, where to shop, where to eat, showing you around campus and other little things like that. They will be your life saver. 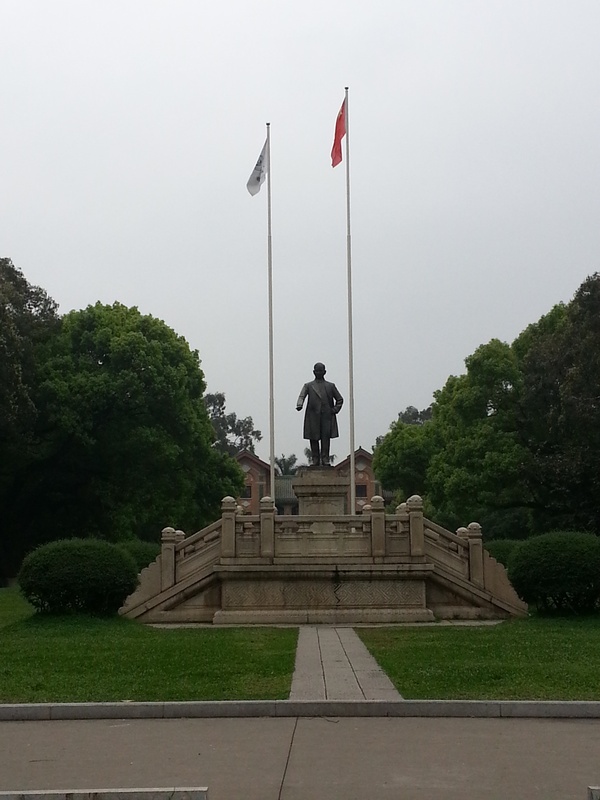 My exchange department is the Business department, one of the two faculties this school is famous for, the other is medical, upon which Sun Yat-sen is famous for, he was a famous doctor before achieving what he did. Classes at SYSU East campus is easy to navigate around, there is the only one teaching block, where all the classes are held. Whereas for South campus you are required to travel around the campus to attend classes which is much more fun. Great opportunity to practise your Mandarin and or English, and having fun exploring the campus to find classes for the first week. Reminds me of first week first year at University, running around looking for classes. Classes are structured differently compared to UTS, classes are usually 3 class (period) lecture, with Class 1 starting at 8:00-8:45, class 2 at 8:55-9:40, class 3 at 9:50-10:35, class 4 at 10:45-11:30… etc. This will be further explained during orientation. Hopefully this information will assist you into learning more about Exchanging to China. My own experience is unique and I enjoy getting lost in an unknown environment, I personally pick a metro station and aim to get lost and enjoy myself. With hopes to finding a metro station to arrive back to my room. Be sure to embrace a new culture and a new way of thinking. There are a lot of things that you will have to throw away. I came to China with a few changes of clothes, laptop, toiletries and a lot of cash, or access to cash. As I am only going to be here for one semester I thought I might as well buy some made in China items, which are easily disposable after the duration of my stay. After I have settled in I planned on purchasing more luxury items, over the necessities to make the place I live at feel more welcoming to myself. Be sure to talk to some current exchange students from SYSU studying at UTS. They will also help your transition into SYSU. The more friends you have already in your host university the more smoother your transition into exchange will become. Not everyone will be available to help you when you require assistance, but if you have 2-4 contacts over your buddy whom might be busy you may just have enough help about! I have made a lot of friends and the professors and other students are more than happy to help you out when they can. So be sure to talk to other students from your class even if they are shy, and as them for their ‘WeChat’ or ‘QQ’, which are the Chinese instant messaging applications. WeChat by far is more popular, so be sure to download that before you arrive to China. Local students’ written English is by far better than their spoken, so this may be their preferred means to chat. I hope this small guide has helped. Where I wish all the best to you on your exchange experience wherever it may be.